I admit, I'm a "slow-growth" CEO. What I mean is that as a team, we've preferred to work closely with clients to enhance their corporate cultures rather than have one plain-vanilla tool that many orgnizations can use. No two companies are alike and we understand the programs, goals, and needs vary. This is why as an HR company we've built a platform that can be adjusted for each client's goals. The benefit of this approach has been that when we build a feature for one client, we can then make it available to another. The fun part is that we get credit for making great feature enhancements when in fact, our clients are the ones driving the direction of the company. We love our clients for being real partners with us and I don't see any other option given that each company has its own culture and the methods to engage and retain employees is specific to each. "If it ain't broke, don't fix it". Well, we violated this rule. We hadn't refreshed our user interface and design since (ahem) 2015. We were overdue and while everything worked, we knew it was time to get with the times. Clients can now better manage the colors, images, and overall appearance of their engagement platform. We also made it easier to combine multiple programs into one consistent experience for employees. 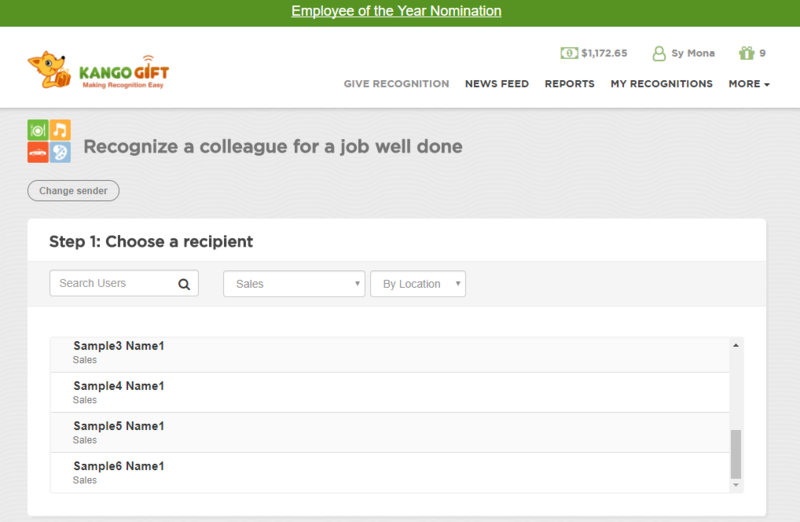 As an example, this page shows how an employee can nominate a colleage for employee of the year or give an on-the-spot award. For us, successful design is about simplicity. Make it easy for users to give recognition and they will. We pride ourselves on how little time people spend in our system. The idea is to hop in, share your personal words of feedback, and get back to the next thing. We differentiate between helping clients understand what has happened verus what could happen. For this chat, we improved the way clients access insights into what has happened. The coolest new feature is how clients can now create custom reports for their organization. Specify what info to aggregate and to who should receive the reports. These two projects were the culmination of four months of work. The developers did a ton of heavy lifting to get this shipped and we really appreciate the clients who were open to me picknig their brains on how we could enhance these areas.